In the event of absence, incapacity, death, resignation, removal from office or failure to perform functions by the President, the Constitution provides for a Commission to exercise and perform the powers and functions of the President. 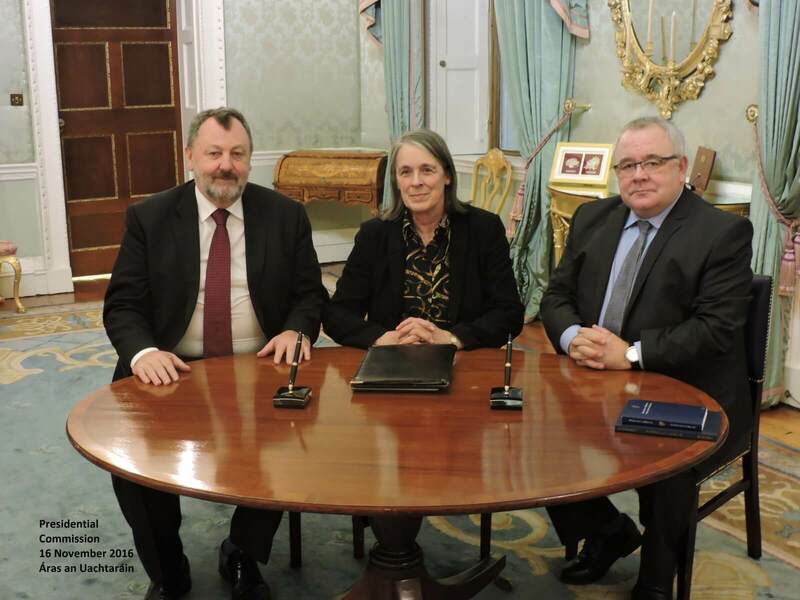 The Chief Justice, the Ceann Comhairle (Chair) of Dáil Éireann (house of representatives) and the Cathaoirleach (Chair) of Seanad Éireann (Senate). If any of those is unable to act, the President of the Court of Appeal, the Leas (Deputy) Ceann Comhairle and the Leas (Deputy) Cathaoirleach, respectively, can act as members in their place. The Commission may act by any two of their number. In any contingency not foreseen by the constitutional arrangements, the Council of State may make any arrangements they consider appropriate to meet the situation. The Commission has frequently signed Bills into law and has appointed members of the Government after approval by Dáil Éireann (House of representatives) on the nomination of the Taoiseach (Prime Minister). In 1992, during the absence of the President abroad, the Commission dissolved Dáil Éireann on the advice of the Taoiseach.